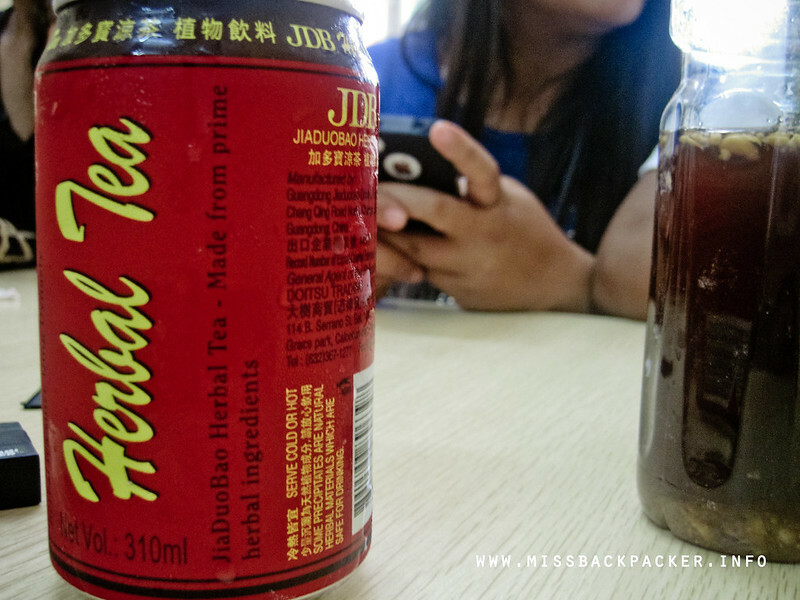 Binondo Food Crawl | Where Have You Been Lately? 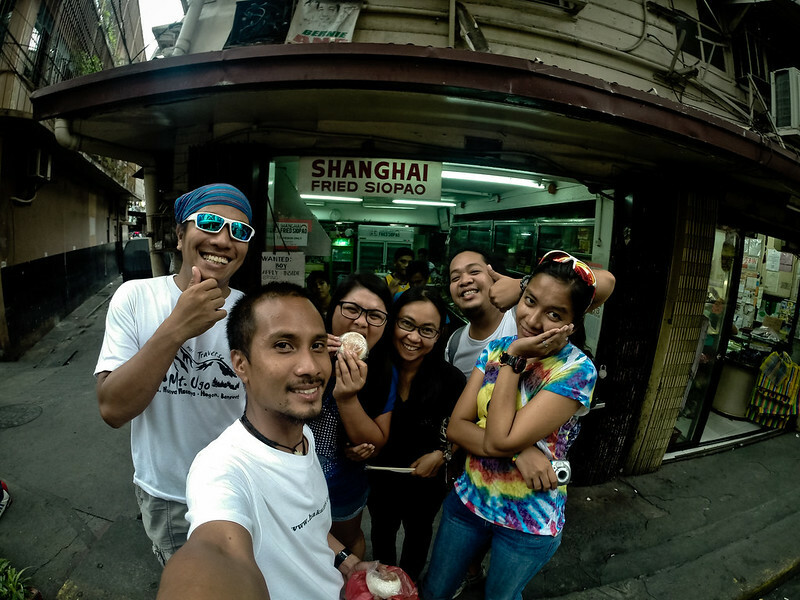 I never really was aware that Binondo is such a great place for foodies and for those who are just plain hungry until November 2011, when my new-found friends from the Pinoy Travel Bloggers community invited me to join their food tour. I wasn’t able to blog about it. Period. 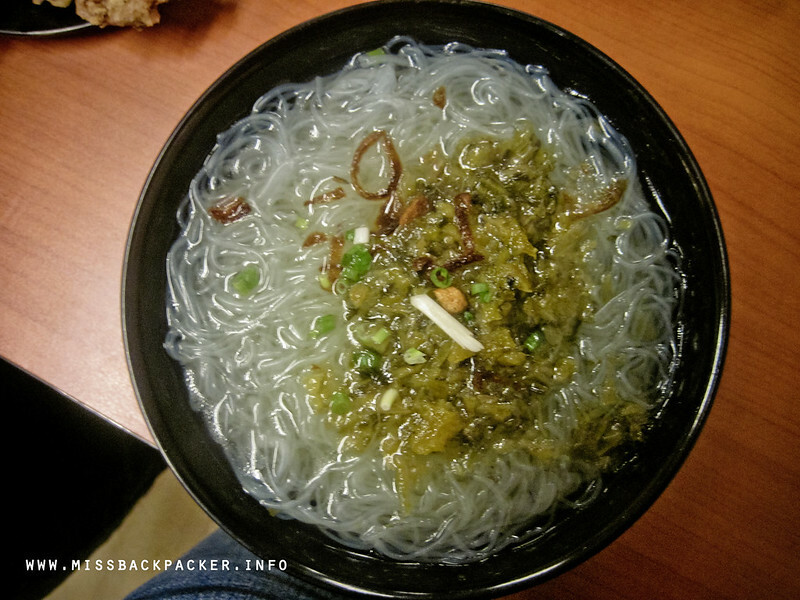 Now that my The Himalayas Project team urged us to go on a Binondo food trip, I thought it’s time to create a blog post that has long been overdue. Throwback 2011. 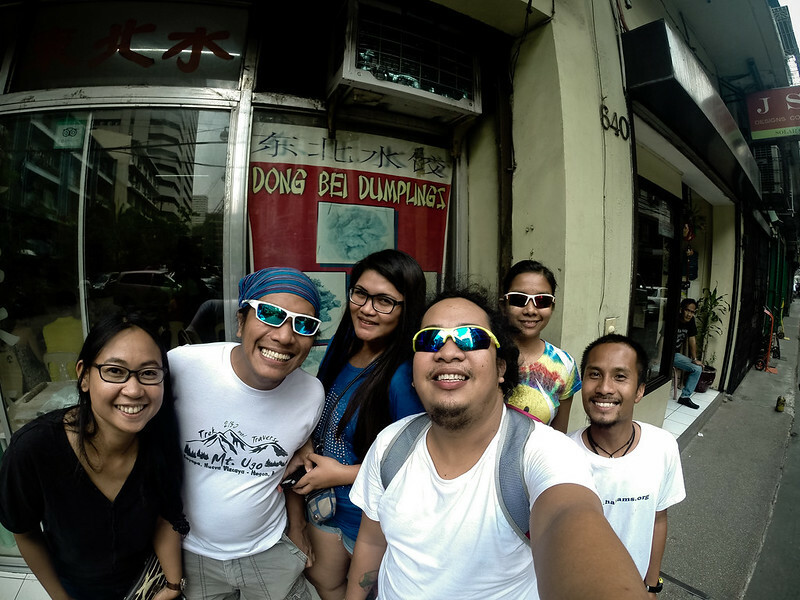 Pinoy Travel Bloggers: Marx, Chino, Darwin, Byron, Robbie, Ivan, and Cath. 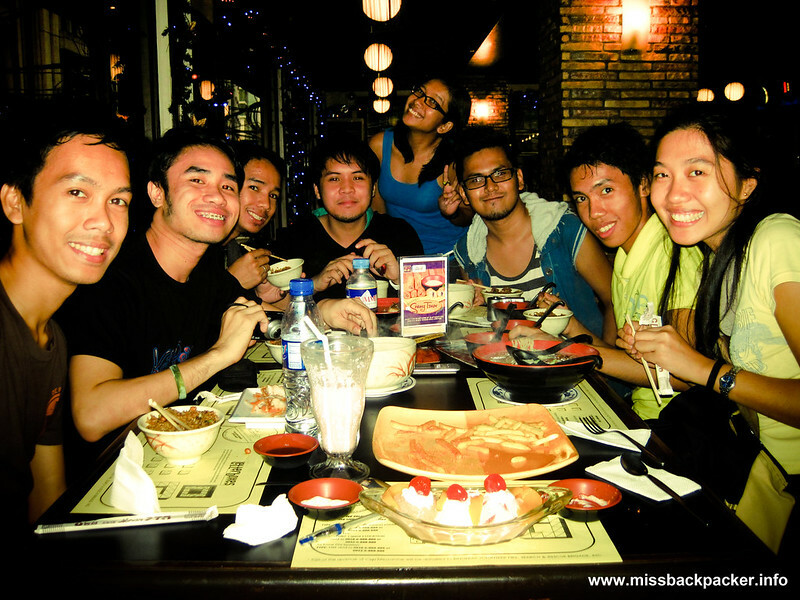 This was one of those spontaneous trips you’d experience when all of you are bored and just around the metro. 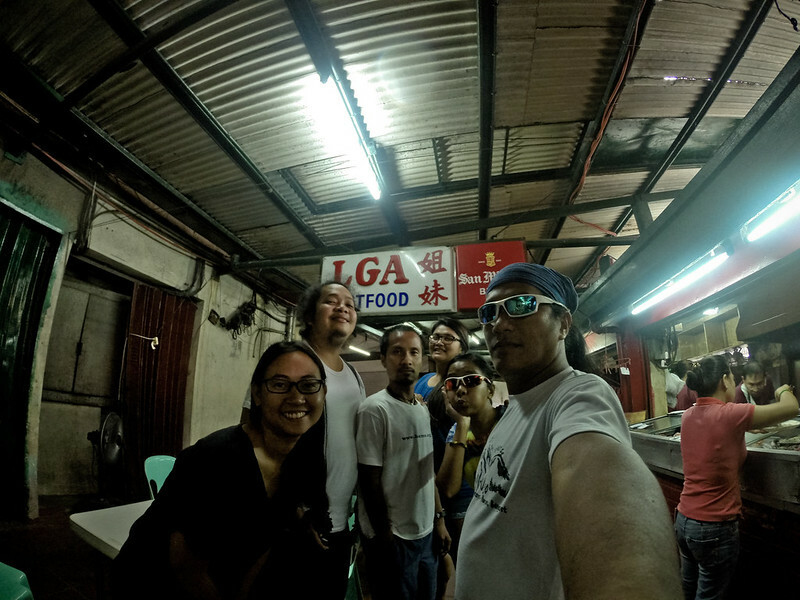 With just Php 1000 in my pocket, Iggy (who came all the way from Baguio), Rowjie and I met the rest of the group—Agot, Migs, and Doc Rhoda—in Binondo Church for our ultimate food challenge. Funny that Agot, who has been to several places in the country already, has never set foot in Binondo in her whole life until now. She’s the one who was excited the most. As for me and Rowjie, we were both lost and didn’t know how and where to start. We just didn’t have the time to visit a bookstore that sells Ivan Man Dy’s food wok map. Thanks to Robbie’s helpful post, we finally had something we could use as a guide. 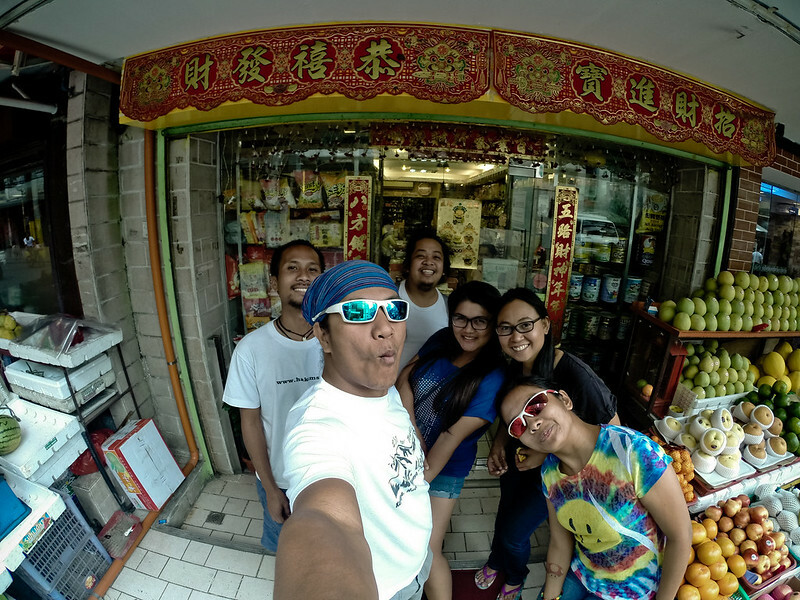 Now this is how we managed to visit 11 food shops in six hours and spent less than Php 500. Rowjie and I know know how to get there so we decided to bring the team there first. Doc Rhoda was starving and she was thinking of ordering a lot! We asked her to calm down as we were just on our first stop. As recommended, we ordered Wanton Mami (120.00), three servings of Siomai (75.00), and two glasses of Cold Milk Tea (55.00), The whole set cost us Php 455. I loved the milk tea! Next stop was Masuki. 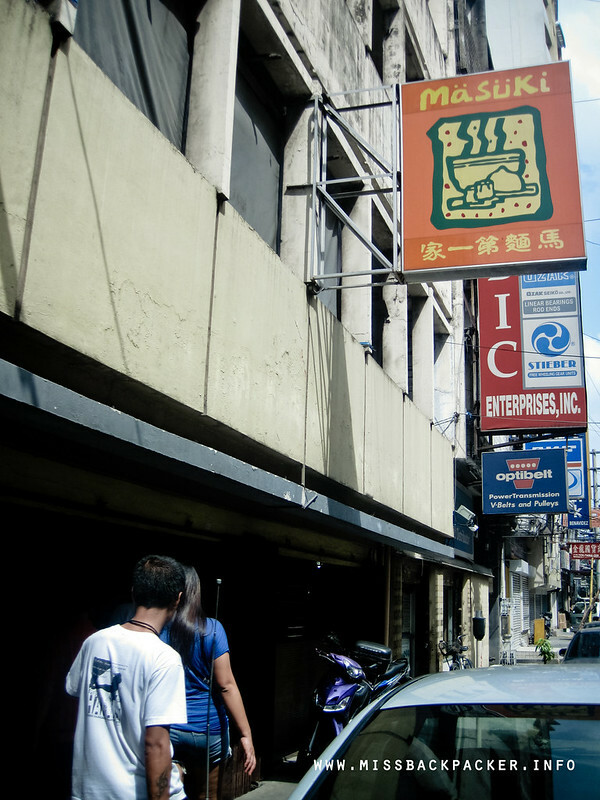 The food spot is known as one of the oldest noodle houses in Binondo and, of course, for its homemade noodles. We initially ordered their Original Mami Special (120.00) but we thought that Asado (75.00) and Bola-Bola (59.00) shouldn’t be missed as well so added those on our menu. The delectable mami and siopai cost us Php 329. The noodle soup of Masuki is really incomparable and eating there is like a trip down the memory lane. Fast service is commendable too. 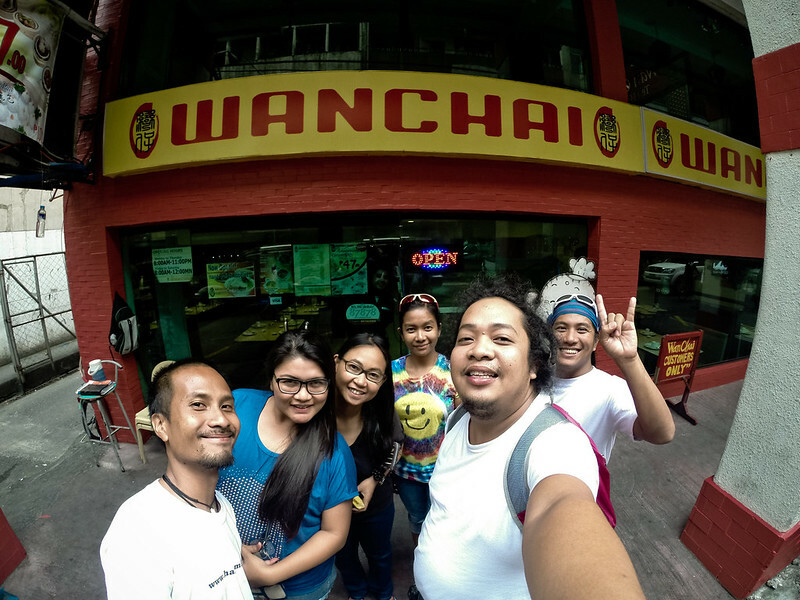 Our third stop is one of the high-end restaurants in Binondo. President Tea House located along Salazar Street and often the last stops of foodies when in the area. There’s also a huge improvement with the facilities of the restaurant compared to my last visit there. 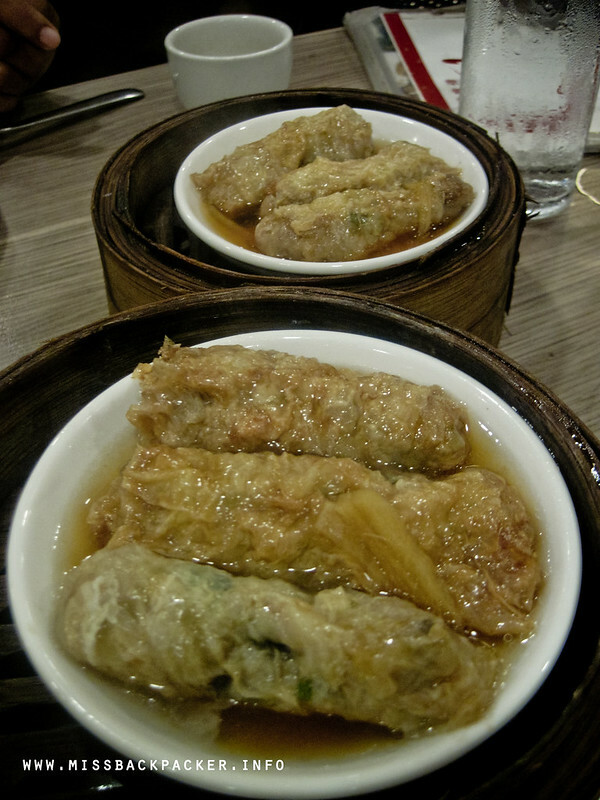 During our Binondo food trip, we ordered Birds Eye Dumpling (85.00) and Beancurd Roll but we were told that it’s already out of stock so we tried Taupe Roll (85.00). 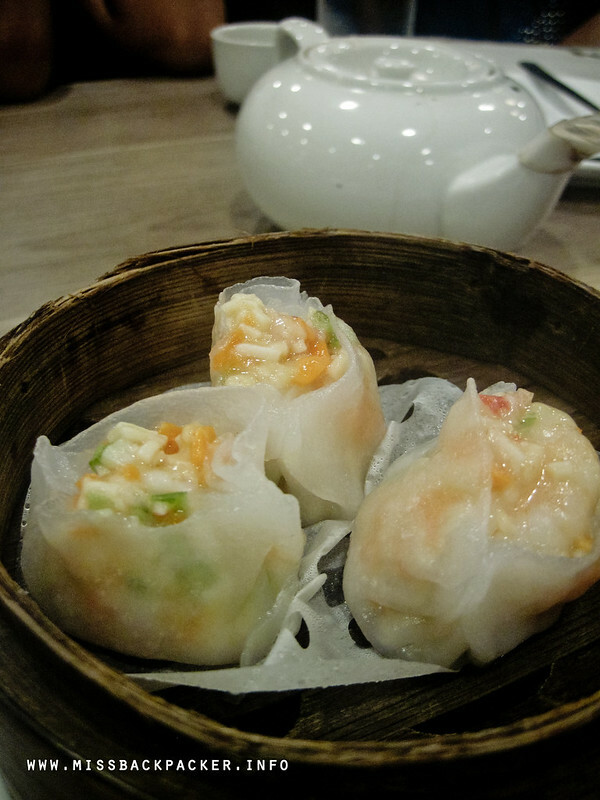 The dim sum cost us Php 255. 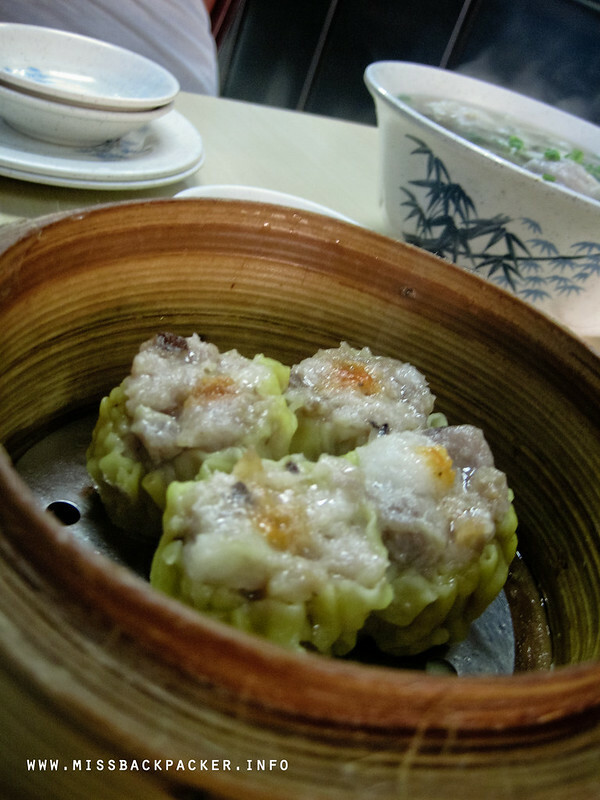 The Birds Eye Dumpling is must-try! P.S. 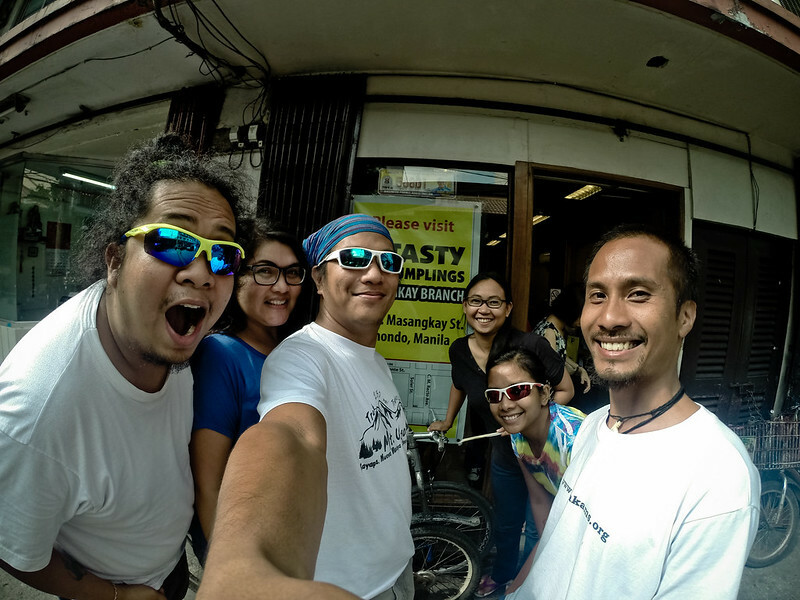 Kara of Travel Up was also there for a familiarization tour organized by a nearby hotel. 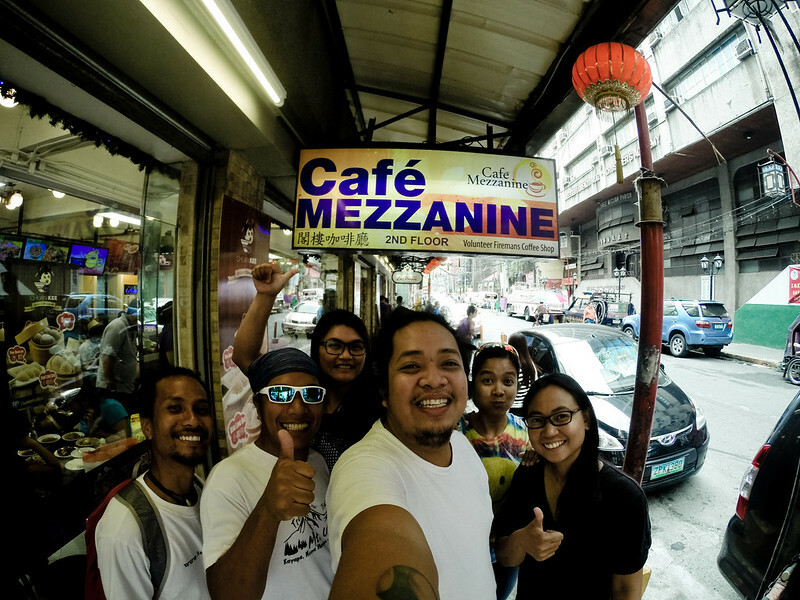 “Pang-ilan na natin ‘to?” The fourth stop was Café Mezzanine famous for its Soup No. 5 (250.00) which we had to try despite our hesitations. If you know the ingredients of this soup, you’d also have second thoughts on whether to try it or not. 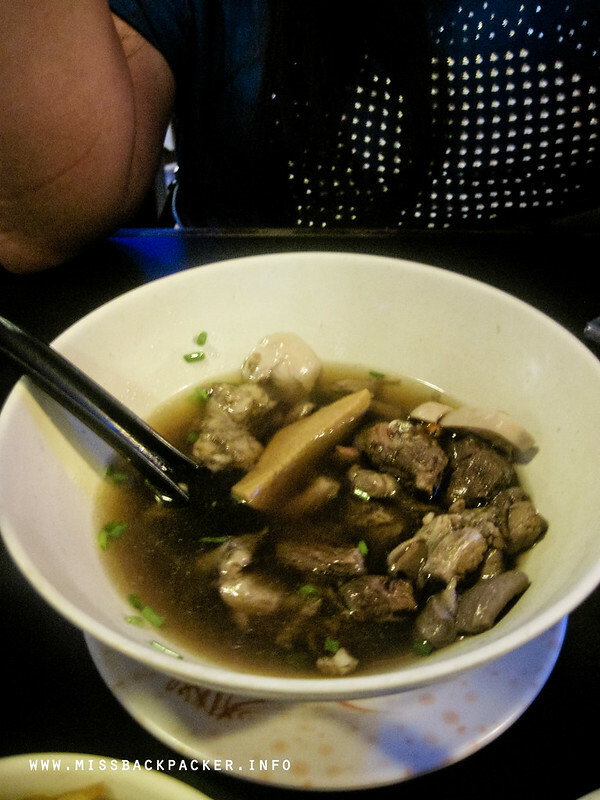 We also ordered Kiampong (60.00) because Rowjie read somewhere that the café serves it best in Binondo. We thought that their Green Milk Tea (70.00) tasted like perfume. What I didn’t really like with Café Mezzanine was its slow turnaround and delivery. We had to call their attention several times before they could get to us. Must be busy hours. 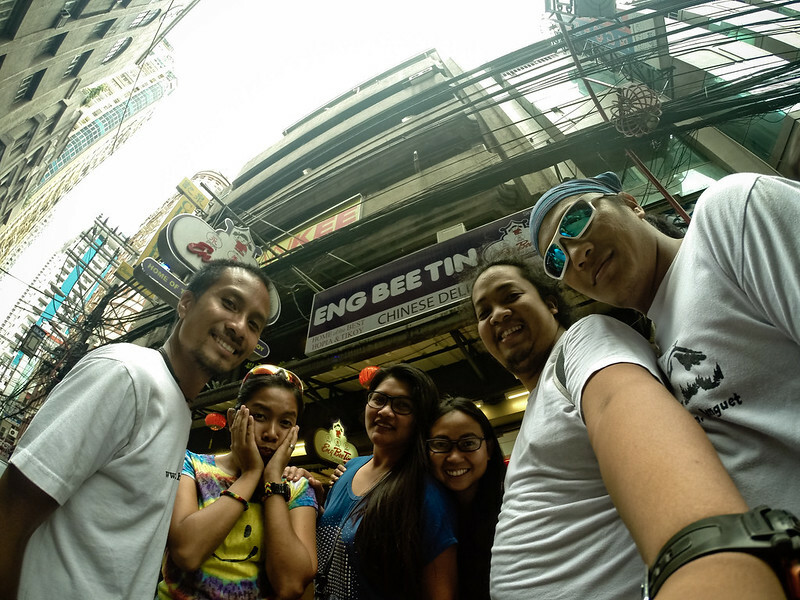 Anyway, we spent Php 450 in this stop. 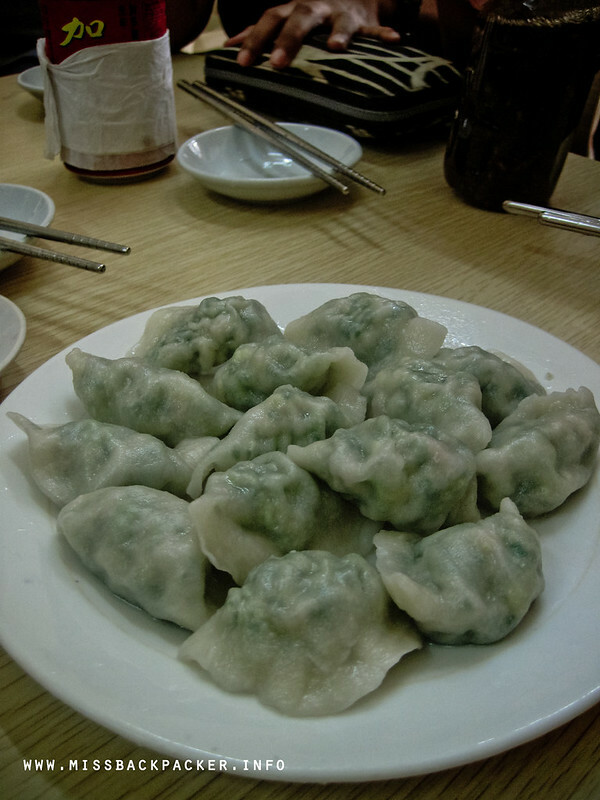 This is one part of the trip that I had been waiting because of the Kutchay dumplings (120.00). I remember how it tasted when I first had the chance to try. So I told the group to experience it as well. 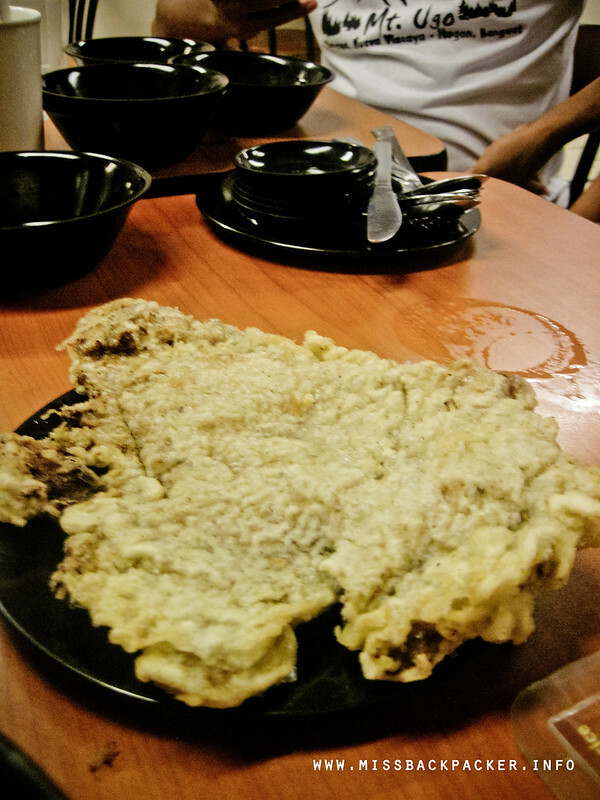 We also asked for the much-recommended Fried Stuffing Pancake but it’s not available so we just satisfied ourselves with the herbal tea Wong Lo Kat (40.00), which, according to them, was just like gulaman. A Php 200-meal that’s worth every cent. 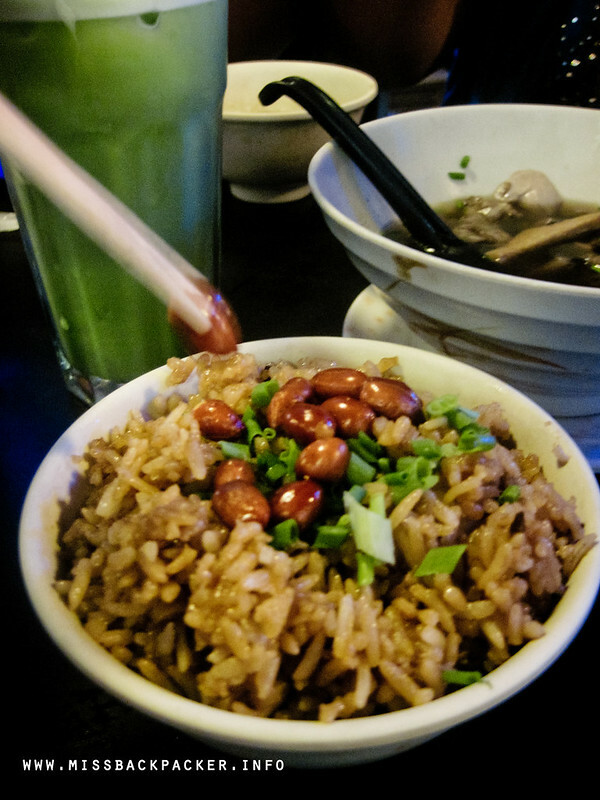 Our sixth stop was new to me and didn’t expect that its dishes would turn out to be great! 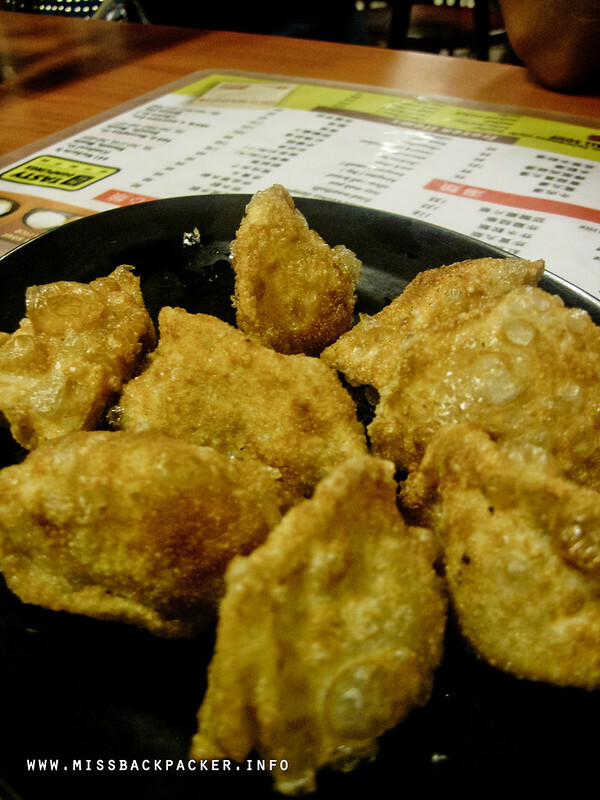 I really loved their Fried Dumpling (99.00) despite the fact that I’ve already eaten a lot of dumpling that time. Theirs just stood out. And then the Porkchop Tossed Noodle (125.00) was also unique and tasteful. 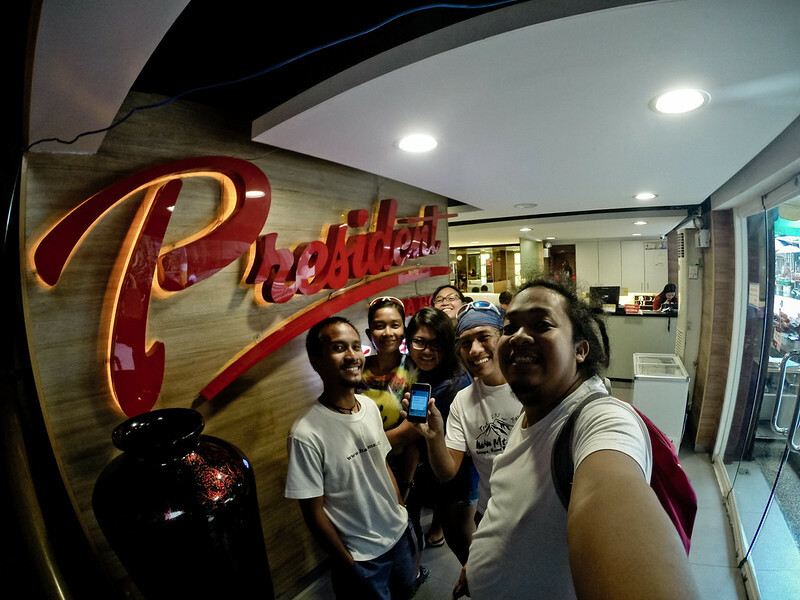 We wasted no time after eating what we ordered for Php 224 and left the restaurant immediately for our next food spot. We thought we already had enough for the day that we wanted our next stop to be quite far from the last restaurant we visited. 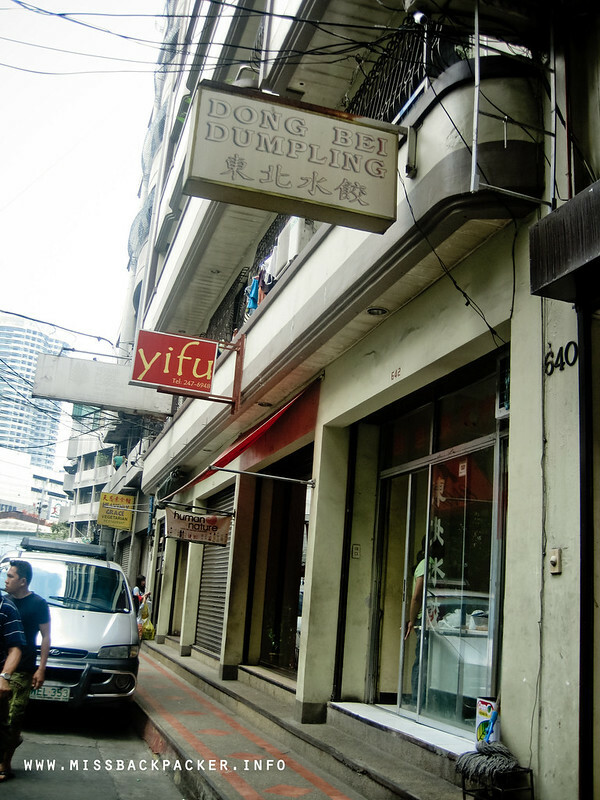 The location of Shanghai Fried Siopao along Ongpin and its distance from Norberto Ty Street didn’t fail. 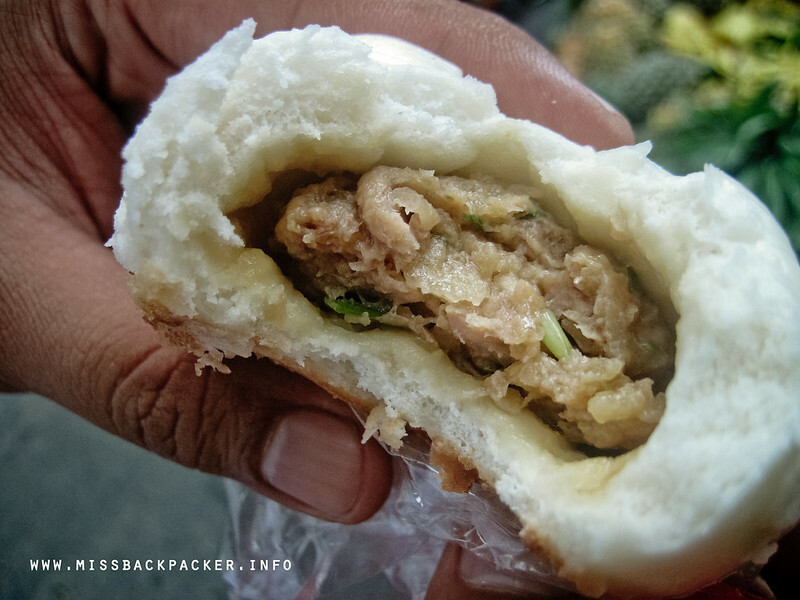 We had to walk for a few minutes before reaching this little food shop and its Fried Siopao (18.00) was cooked just right. 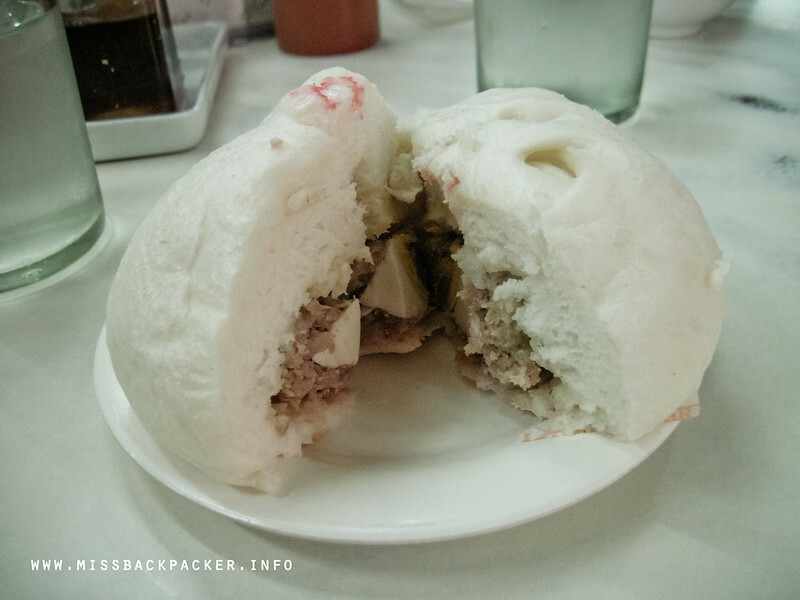 Since Robbie already mentioned in his post, we kind of expecting to eat the siopao while walking to our next destination. Kelangan magpababa ng kinain. Okay, here’s one of the highlights of our trip. 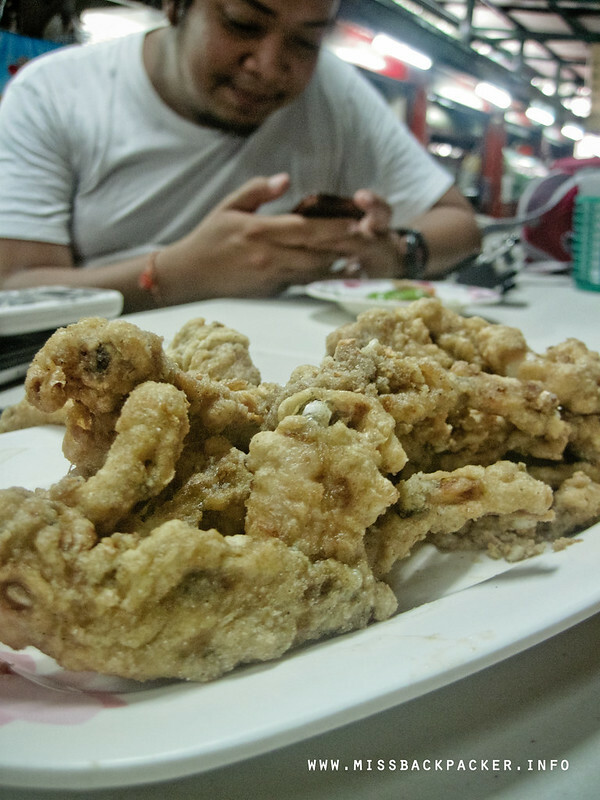 We’d been talking about the Salt & Pepper Frog Legs (190.00) since morning and we just had to ask the crew in LGA Fastfood where do the frogs come from just so we could brush off the idea that they’re getting the frogs from the estero. Politely, the Ate said the frogs are being imported from provinces. End of discussion for us. 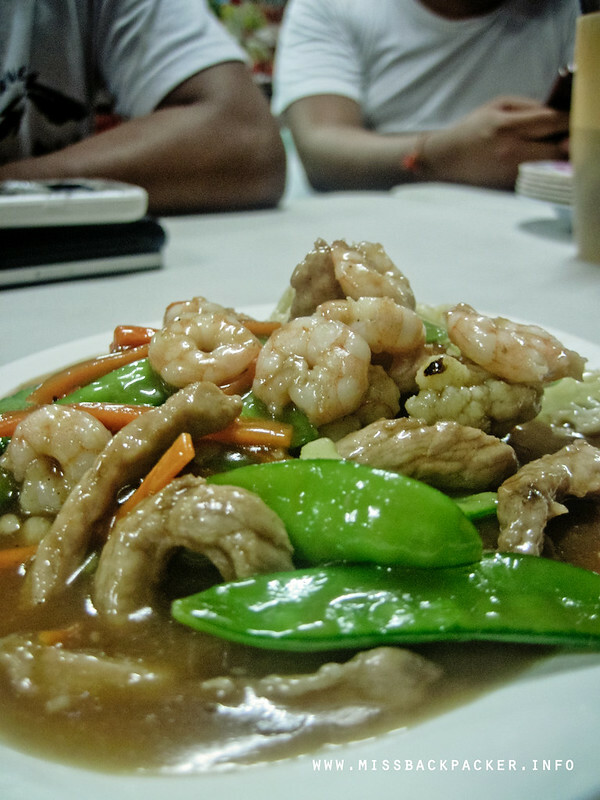 Rowjie and I also recommended Chopsuey (125.00) since we enjoyed it the last time we ate there. And oh, we also had our first Coke (70.00) of the day. We paid a total of Php 385 for the whole set. After all the eating we’ve done, we thought some sweets wouldn’t hurt so we went to Shin Tai-Shang, which is just a few steps away from the President Tea House. 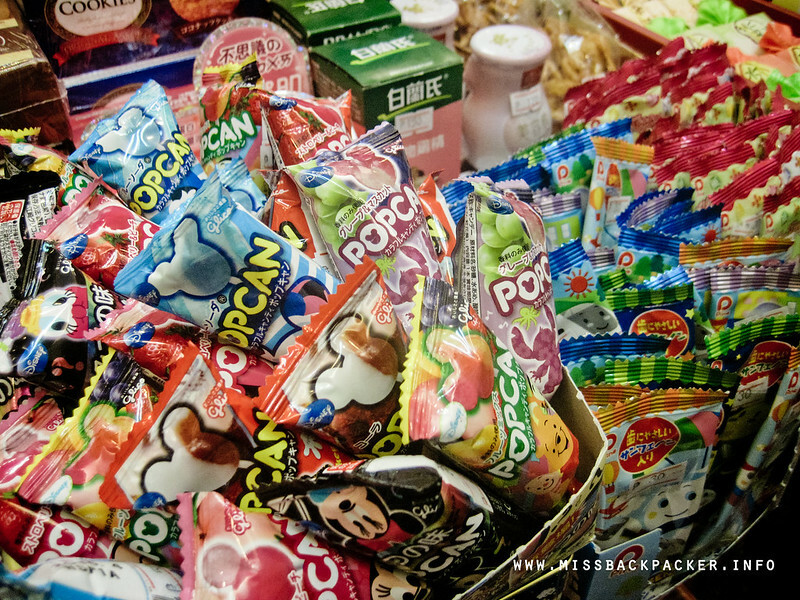 Inside, we were greeted by several knick knacks and candies of different colors, sizes, and flavors. Kids will surely enjoy a visit to this shop. 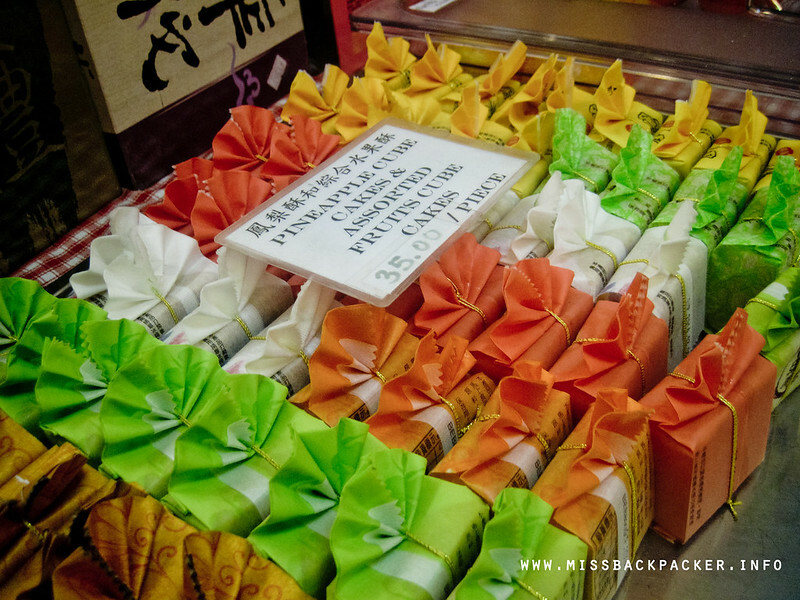 I only have a few bucks left with me and could only afford a Mochi Cake (50.00) which tasted like pabango, again. Ugh. We thought we’re on our way to our last stop to buy pasalubong but Migs couldn’t let his Binondo food trip conclude without munching on a Roasted Duck (1/4 425.00) We didn’t know where to avail of the roasted duck so we just went to the nearest restaurant we saw which was Wan Chai. After a few minutes of ordering, I took out my phone and checked my social media accounts without noticing that the dish was already being served. Ending? There was just a tiny piece left for me. Ang bibilis ng mga kamay at bibig! 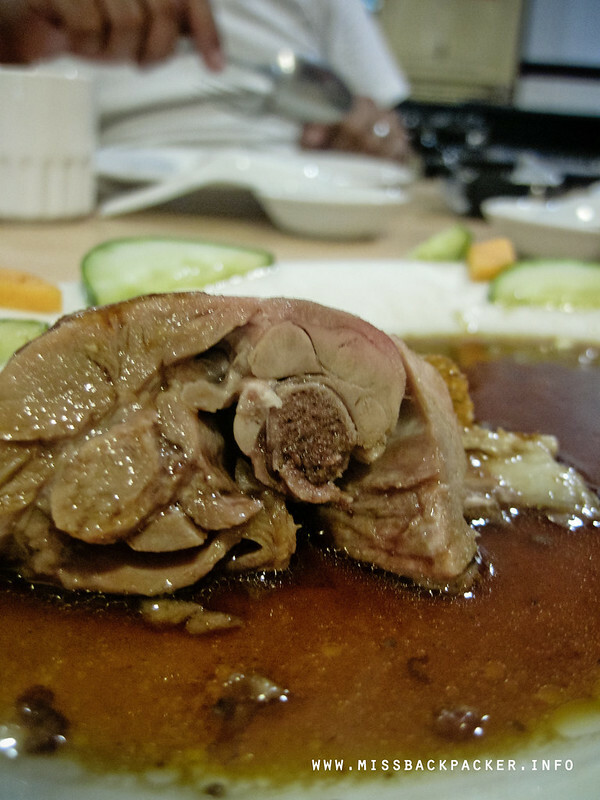 That was my first time to taste a duck meat. To me, it’s like eating lechon. 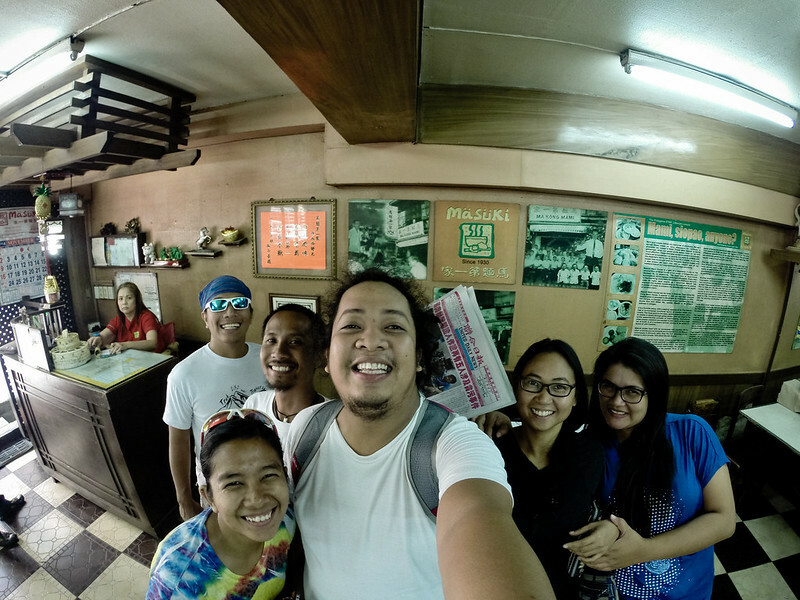 To wrap our exhausting yet fun gastronomic adventure, we passed by the famous Eng Bee Tin pastry shop for our hopia hoarding. 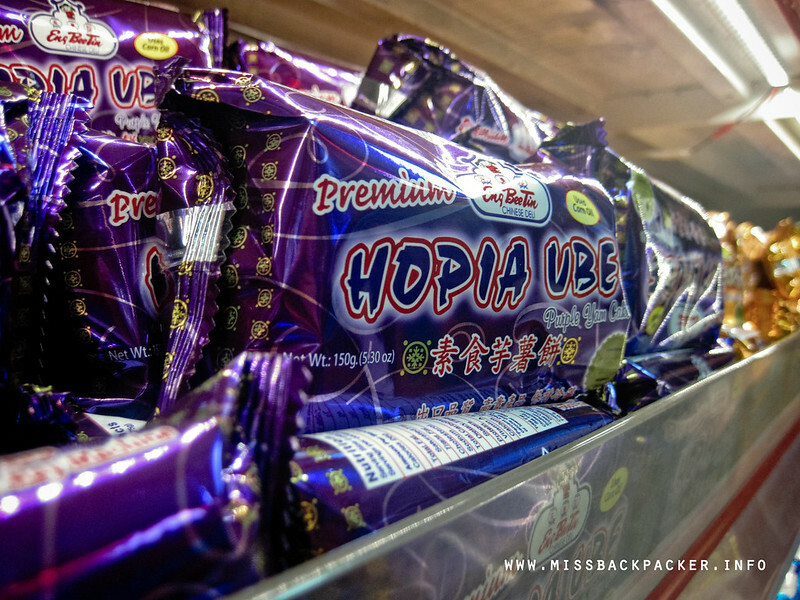 I had to bring home my all-time favorite Hopia Ube (44.00), Hopia Mongo (40.00), and Hopia Ube / Pastillas (46.00) else my Binondo food trip wouldn’t be complete. And that’s a wrap! 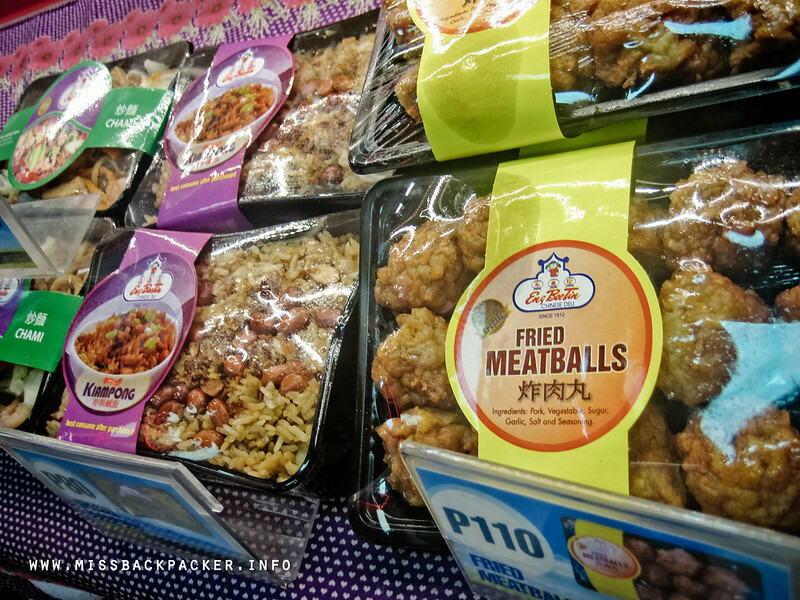 That rhymed with sarap, don’t you agree? Anyway, we spent Php 472 each for everything we ate. 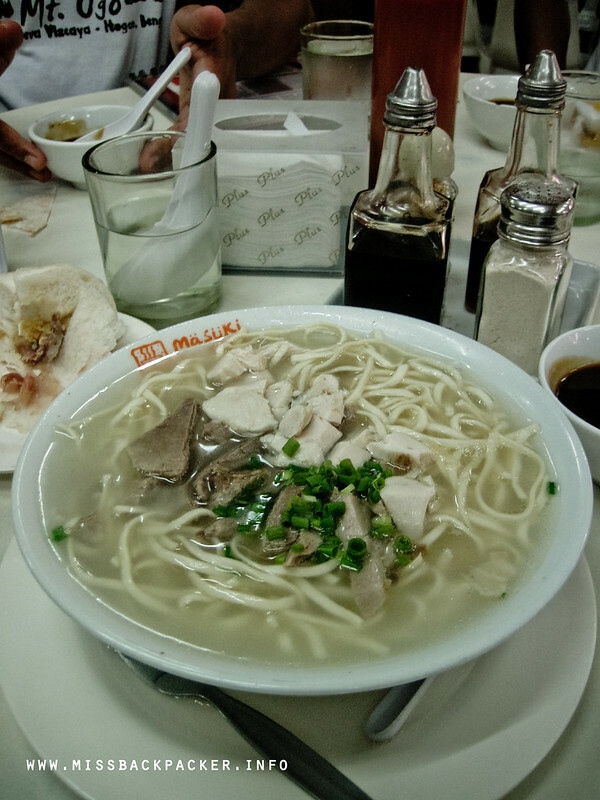 And I am sure that Agot will definitely come back to Binondo for more food trips! 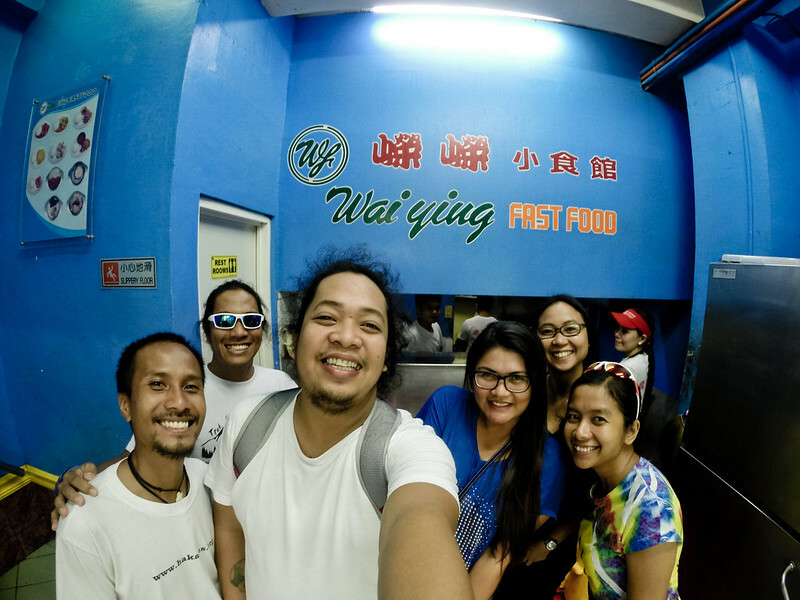 To know more about the details of this food tour, check this PDF copy of our itinerary and expenses. wala n po ung pdf? Hi Paolo. Sorry sa sobrang late na reply. At thank you rin, hindi ko napansin na broken link na pala yung PDF. Anyway, okay na siya.